Summer is going to be packed with wonderful rueda and casino dancing opportunities. We were invited to perform a rueda performance at this event. See our picture below in the flyer. 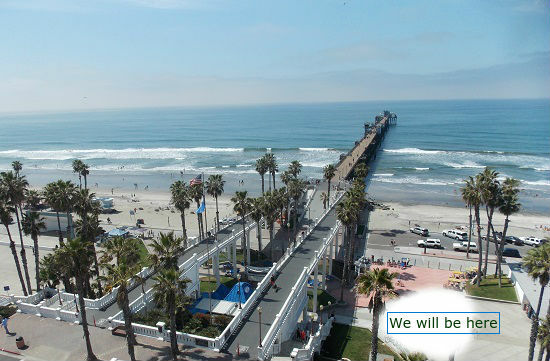 We will be there to call some ruedas and take in the beautiful view of the South Bay in Chula Vista. Get your tickets now as they are going fast for this event. 21& over (ID Required); CLICK THIS LINK to buy your tickets. 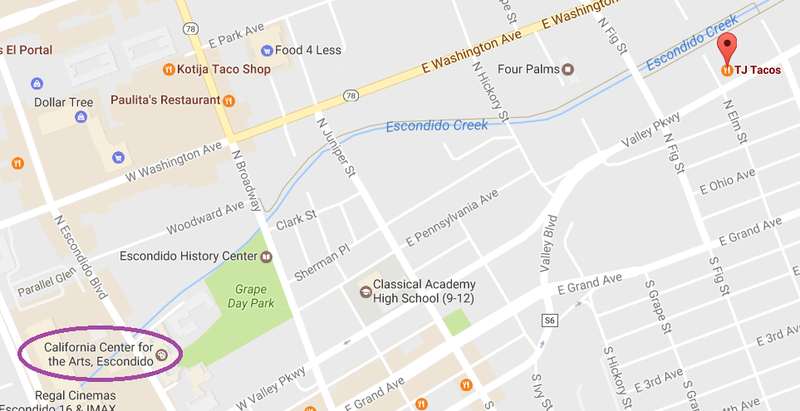 Our Tierra Caliente Academy Annual dance recital to be presented July 8th, 2017 at the California Center for the Arts, Escondido. Doors to theater open 6:30pm, show starts 7pm. 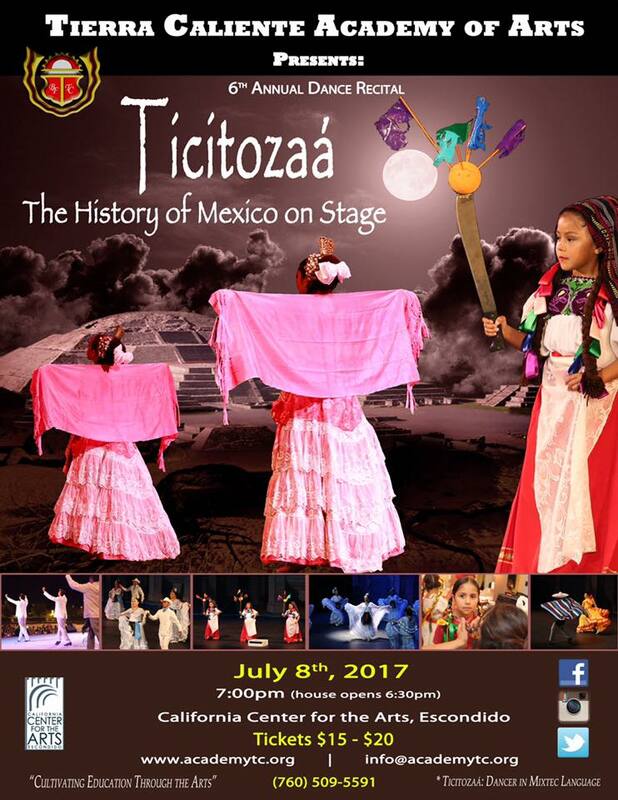 Our dance recital will include our folklorico programs and salsa "rueda de casino". Family event whose main purpose is embracing the cultural arts and sharing it with the community. Cultural Appreciation and Cultivating Education through the Arts. * Tierra Caliente Academy a 501 c3 non-profit and your purchased ticket will benefit our current and new upcoming programs. Nuestro recital bajo Tierra Caliente Academy se presentará el 8 de Julio, 2017 en El Centro de Artes de Escondido. Las puertas del teatro se abren a las 6:30pm y el show comienza a las 7pm. Nuestro recital incluye todas las clases de Folklorico y el de Salsa "Rueda de Casino". Evento familiar con el propósito principal de difundir las artes culturales y compartirlas con nuestra comunidad. Apreciación Cultural y Cultivando Educación a travez de las Artes. Tierra Caliente Academy es una organización sin fines de lucro 501c3 y la al comprar su boleto estará apoyando nuestro programas actuales y los que se vienen en camino. Gracias! It's the start of the Summer!! 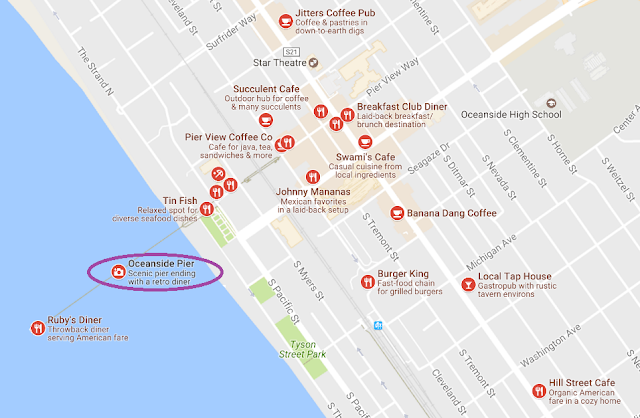 We are taking it outside to Oceanside Pier for our Friday Rueda Practice. The weather is perfect to be dancing outside. If you miss Casino on Concrete this last weekend, you have a chance to make it up by coming to the rueda practice. Then we can go afterwards to the Local Tap House for food and drinks. Cuban rumba and social dancing all night until 1:00am. 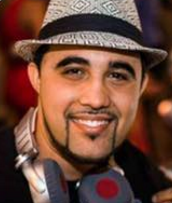 DIRECTAMENTE DESDE CUBA- HAVANA D PRIMERA Featuring MAYITO RIVERA & DJ MELAO DIRECT FROM MIAMI! NO SE PIERDA ESTA EVENTO INOLVIDABLE CON LA MEJOR ORQUESTA DE CUBA EN ESTE MOMENTO! 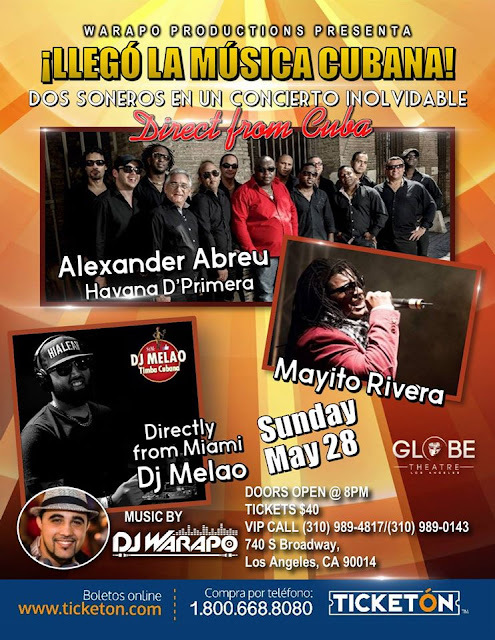 Direct from Cuba - Havana de Primera Featuring Mayito Rivera & DJ Melao direct from Miami. Don't miss this unforgettable event with the best current orchestra from Cuba. COST: $40.00 before the day off. Fee will increase at the door. Click here to buy online. 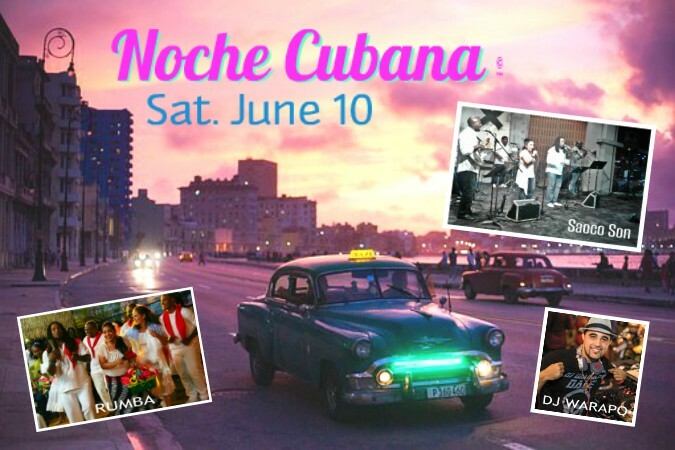 The Summer Installment of Noche Cubana is here with a night of Live Cuban Music, Dance, Culture & Cuisine! Transport yourself to Havana with a Live RUMBA show! 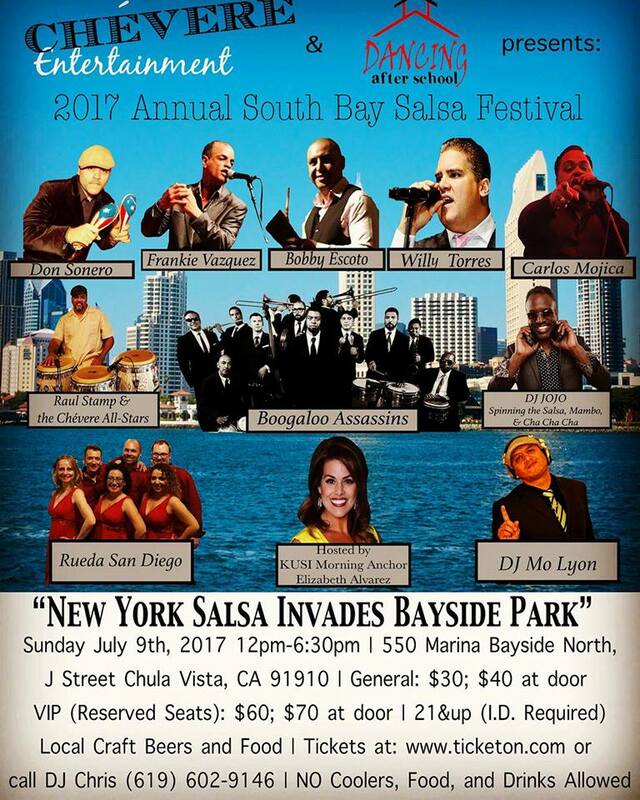 Dance to the classic & contemporary sounds of Cuban band, SAOCO SON! 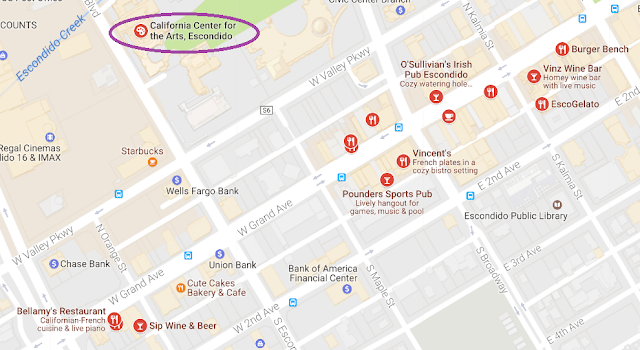 Enjoy a complementary Salsa suelta lesson! And dance the night away with DJ WARAPO playing all the best Cuban dance music for all you casineros and Cuban music lovers. Ruedas welcome on this dance floor! Authentic cuisine & beverages available for purchase. ALL AGES Event! Kati Hernàndez & I are super excited to launch the first of many Rueda Que Se Mueve Weekend of Casino/Rueda/Cuban dance styling bootcamp sessions, food, dancing, and rueda games. 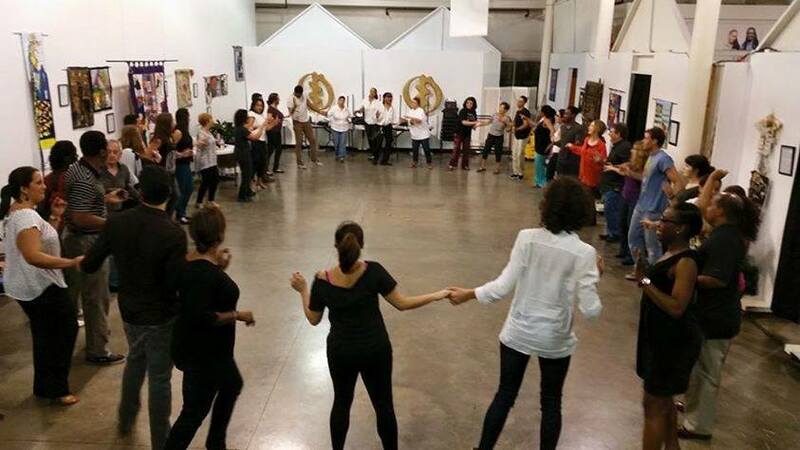 Purpose: To bring two Cuban dance communities separated by geographic distance together by hosting each other,share a meal together, socialize with each other, dance together, learn rueda in a fun environment and working together on techniques to become a better Cuban style dancer. On the weekend of May 20th - San Diego will host Los Angeles casineros and Cuban dance lovers. Friday Rueda Practice led by Kati! 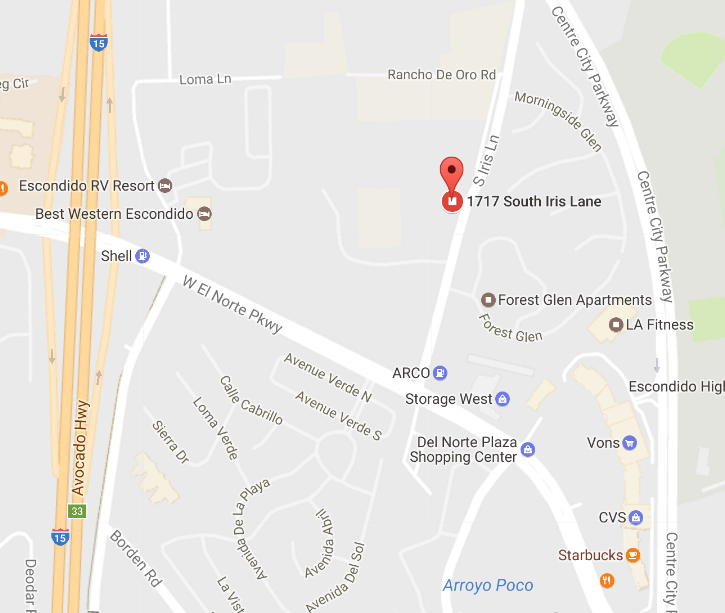 Welcome LA Casineros to Esco! 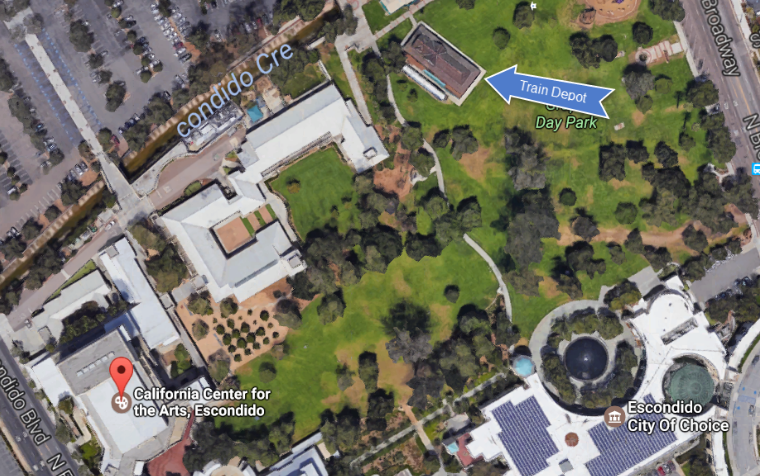 ***Parking is limited, please plan to carpool if you can. Aside from learning standard and fun new moves, These workshops will focus on strengthening the basics of Casino (Cuban Style Salsa). This includes body movement drills. 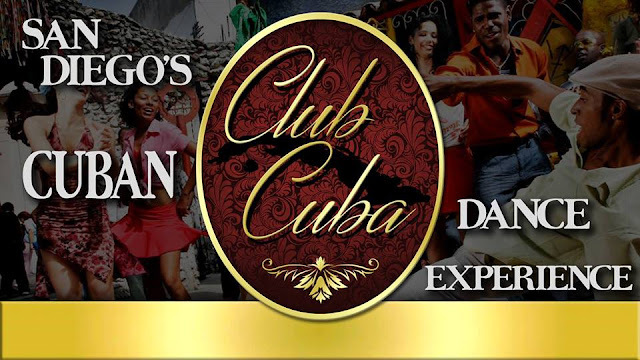 AUTHENTIC CUBAN body movement, musicality and styling for gentlemen and ladies. When and how to add AFRO-CUBAN or RUMBA to your social dance. *No food allowed in the room. Water bottles or drinks with lids are OK.
LEVEL: Requires basic rueda de casino knowledge. We will work on Lead and Follow technique, timing drills, partner connection, footwork drills giving you the tools to become a better social dancers. You will get tips for casino social dancing and rueda etiquette. Lastly we will learn how to practice safe Cuban dancing on the dance floor. This will be our culminating rueda experience taking everything we learned and applying it to rueda de casino and 1-on-1 casino. There will be three casino/rueda games to keep you sharp, creative and knowledgeable. *Food and beverage are allowed for the party. NO ALCOHOL is allowed in the space. Due to a high demand of requests, I am opening registration for my One-Month Summer Beginners Series for Level 1. This is series is for anyone who has never danced Cuban salsa before. If this describes you, then this class is for you. 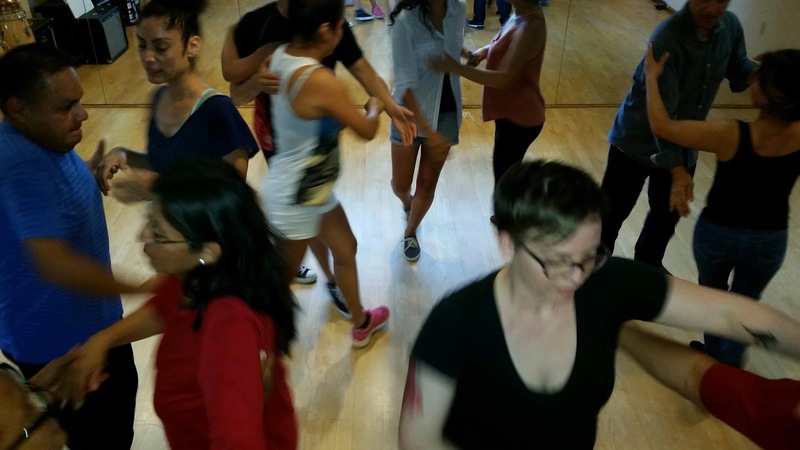 "Level 1: Never danced at all, brand new to the Cuban style dances, 2 left-feet;don't know how to find the beat, Salsa on-1(LA style, Mambo) dancers wanting to try casino/rueda de casino for the first time or you took one rueda class; did it one time but forgot it all "
Register for the Series: please complete this Online Google Form as this helps to determine how many leads and follows there will be in the class. Please pay cash on the first day of the class. Registrations accepted until the day of the 1st class. 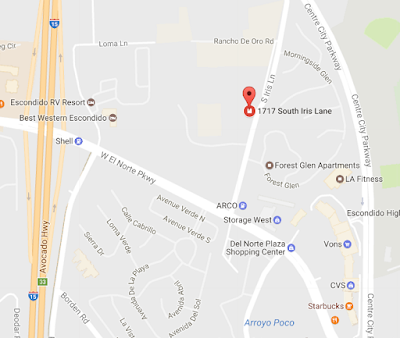 LOCATION: 1717 S. Iris Lane, Escondido, CA 92081; turn left. WHAT TO BRING: Water bottle, small towel, comfortable sneakers or suede-bottom dance shoes. COST: $40.00 for the whole series. Do not miss a class, there is no make up class. The purpose of a closed series is to raise the level of casino rueda dance knowledge to the next level. There are 3 levels of Beginner level. This is LEVEL 1. To read more about Maritza's curriculum, click this link. Great news. Instead of a rueda practice at one of our outside spots, we are going to have rueda practice and a dance party to celebrate Cinco de Mayo at Doug's Studio. This is a potluck/snack-luck and yes, bring your favorite favorite beverage. HOW TO PREPARE: This is casual and all the potluck items will be set on tables outside the studio room. Bring covers for your potluck items and or bring a cooler with your drinks to share. Also Bring some beach chairs or lawn chairs so you have a place to sit out in the driveway. 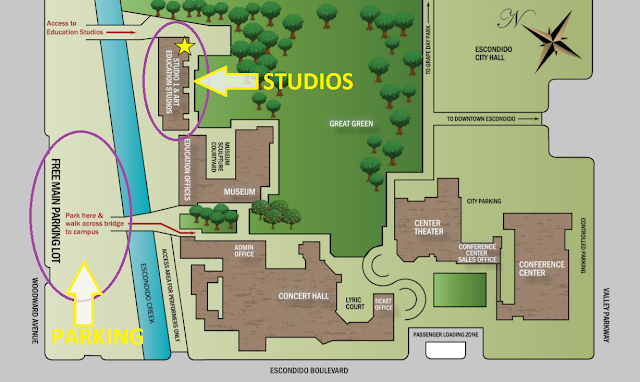 The studio is a perfect size for dancing and the outside is a driveway - where all the food and beverages will be. 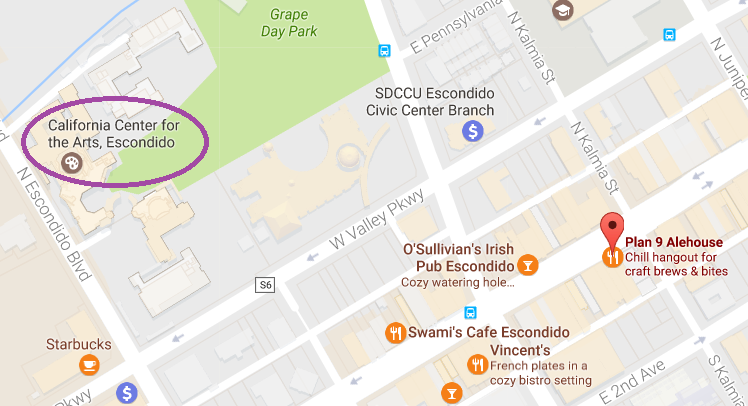 DONATION: $2 or $3 to help with electricity bill and maintenance for the studio. Fridays are rueda practices to review what was covered in Tuesday class and a more social time to practice one-on-one casino using rueda moves. 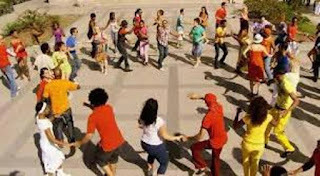 This one-month rueda class series is set up for Beginner Level 2 Cuban salsa dancers. This mean, dancers have completed Beginner Levels 1 and 2 and already know the following dance commands: Guapea, Dame, Dile Que No, Enchufla, Exhibela, Adios Prima, Pa'l Medio, Pa'bajo, Vacilala and Setenta (in addition to Echeverria, Matala series, Un Fly series and a few add-on's to the above mentioned moves). This series will take you into add-on moves and group moves plus moves Maritza learned in Cuba plus footworks and body movement drills for social dancing. Please complete this online registration form. This helps us figure out how many leads and follows we have in the group. Dedo, Montana, Balsero, 70 Complicada, 71, 72, Abanico, Juana La Cubana, Amistad, Rotorno, Caramelo Y Chocolate, Escapate, Enrosca, Dame con Cuba, Dame con giro, Patin, Ponle Sabor, Siete Moderno, Candado Cubano and all basic rueda moves. This series will add more intermediate/advanced moves. There are NO Drop-ins and NO make up classes for this series. Do not miss a class or you will have to wing it! The purpose of a closed series is to raise the level of casino rueda dance knowledge to the next level. There are 3 levels of intermediate in learning rueda de casino.